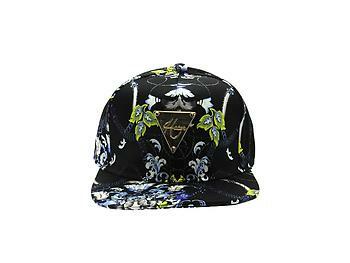 Black Fabric Floral Chain Adjustable Snapback Hat Cap for Men and Women. 7 hole snap-back adjustment. Goldtone Hater logo plate on front. One size fits most.